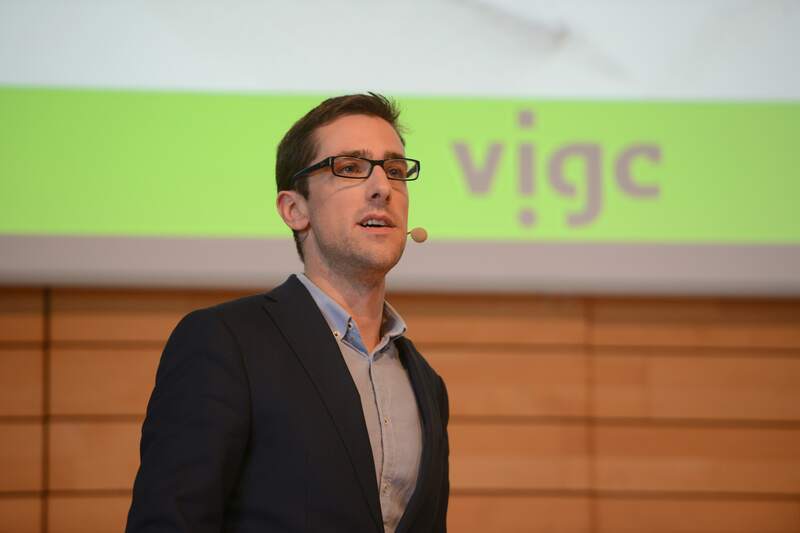 During the annual congress of the graphic industry (Het Congres) organised by vigc[i], Maxime Carpentier (CEO of Zerocopy) was invited to give a presentation. The topic was how Zerocopy successfully launched a new business model in print. “Success can be engineered” was his overall message. I have met with him to go into more detail about his experience. Carpentier recognises that not one person has all the right answers or solutions for a start-up. However, he does not shy away from sharing his experience and his opinion about the most common problems that new enterprises and start-ups face. As an entrepreneur, he is most inspired by the lean start-up movement[ii], which according to him has supplied him with the strategy and solutions that pushed his company forward. To go with his definition of success, by introducing a new business model that works into the world, he has attempted, with obvious signs of success, the principles advocated by Running Lean[iii]. “Success can be engineered!” he adds enthusiastically. Many students and young entrepreneurs think of start-ups as small enterprises. Or even new businesses that are relatively “small”, Carpentier laments. “That is a huge mistake! They are two absolutely different things with a different focus, applying different strategies and having two very different goals in mind.” He adds. While a company’s main goal is to execute and grow a profitable proven business model, a start-up is all about finding a business model that works. The focus of a company is growth. The experiments they do is to optimize the business with the use of quantitative tracking techniques. On the other hand, the start-up’s main focus is ‘validated learning’. They experiment in order to validate their assumptions and they measure everything qualitatively. …is all about finding, creating and building a business model that works. That involves identifying problems, testing if they really exit, defining a solution for them and testing that solution. That needs to happen as many times as possible, until it can be validated. The next step would be to implement the desired solutions into the new business model. Then you can once again redefine new problems and come up with new solutions. It’s about learning from your mistakes. Learning that is validated at each step and not based on assumptions. That is how you bootstrap your business, simulating the possible outcomes on a smaller scale and anticipating the possible changes without having to risk the overall quality of service offered. That means measuring should be qualitative rather than quantitative. …, on the other hand, revolves around growth. This new challenge is different. But emerging successfully from previous stages qualifies a company for such! Experiments are not meant to pivot your business model but to optimise it. The focus on growth mainly requires quantitative tools. As such, a company executes a business model that works, while a start-up creates it and validates it. Coming up with an explicit business plan, defining the risks, testing for assumptions, fitting the product to its market and scaling up. In this blog post, we will discuss in detail the first step (Define Plan A). In the coming posts, we will discuss the rest of the steps. A business idea is nothing more than a set of interlinked assumptions. The first thing to do is to turn these assumptions into an explicit plan A. An easy and simple frame work to draft plan A, is the Lean Canvas. The Lean Canvas[i] has two important functions. First of all, it’s a visual brainstorming tool that represents the most important parts of your business model, such as customer segments, the Unique Value Proposition (UVP: what’s so different about my business idea? ), revenue streams and customer acquisition channels. Just by filling in the blank blocks on the canvas, you will actively think in a structured way about your business idea. Soon, the links and relations between those blocks will be apparent. In this way, all assumptions become explicit. That brings us to the second function of the Lean Canvas: a communication tool. It is very important to talk to a lot of people about your idea. In order to make sure that everyone understands your idea in the way you want, use the Lean Canvas. If we, at Zerocopy, want to be sure if someone really understands what we are doing, we ask them to draft a Lean Canvas for Zerocopy… We learned a lot from these exercises. With the lean canvas, the need for long and complicated worksheets is eliminated, which grants much flexibility to adjust plans and adapt on the go. The first plan was to provide students of a way to print for free. Advertisers will pay for that and make it available. Advertisers who are looking to find more ways to reach students efficiently and in a targeted way. Users (in other words the students) and the customers (i.e. advertisers and companies). The first plan of Zerocopy then was to form such a platform online. (To facilitate attaching the ads to the printed material). However, the online platform comes later as we will see in the next steps. The real challenge was to find a way (without much finances) to actually print the documents. Zerocopy’s first solution was to find shops, café’s or any type of store that would agree to host Zerocopy-owned printers. That will be in exchange for the increased traffic and reach for the store. As such, the plan became clear. We needed to validate all of the three sides of the platform through practical experience, qualitatively. Those relate to the explicit three assumptions as well. Students would want to print for free. Advertisers would want to reach students in their courses. And lastly, that shops will accept to host our printers. In the next part will go into more detail on how to form those assumptions, how to test them and change your plan accordingly. Note: Are you curious on how to put an idea into practice? Join Start Academy and learn how to Run Lean!